SKU: FG021. Categories: Fruit Gift Baskets, Fruits & Confectionary, Family Gift Baskets. 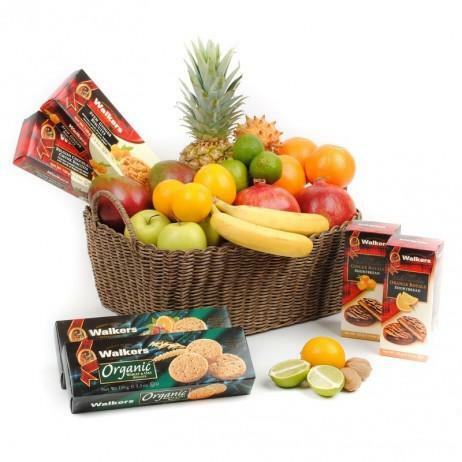 Gift basket full of carefuly selected fresh fruits and Walkers biscuits and shortbread. What a nice and healthy way to show your friends, colleagues and dear ones that you care. 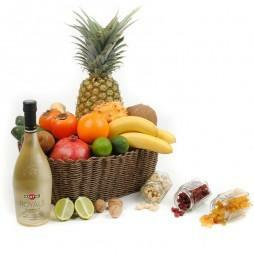 Fruit gift basket is suitable for every occasion. The selection of fruits depends on the season and we care to select the highest quality fruits for you. 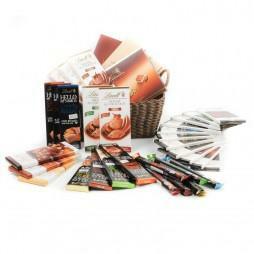 Mixed Fruit Basket is suitable for Birthday, Mother’s day, New Year, Christmas, Easter and every other day.